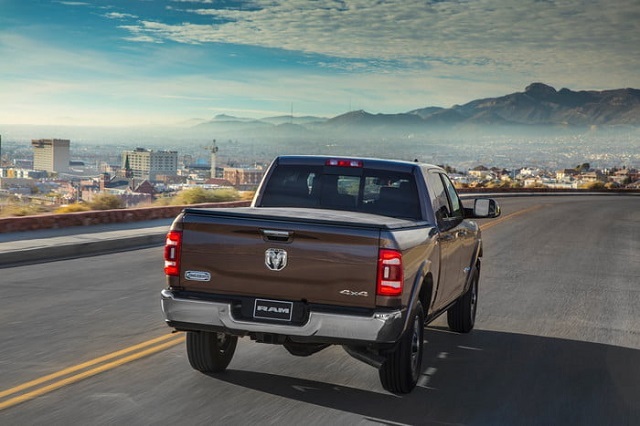 The things have changed in the truck industry with the arrival of the all-new Ram HD trucks and despite we got something similar to what we expected the redesigned heavy-duty models are really impressive. With the high-output, redesigned Cummins diesel engine, Ram is the first in the class that reached the sweet spot of 1, 000 lb-ft and the larger Ram HD can to up to 35, 100 pounds. But many buyers don’t need such level of capability and a smaller, three-quarter-ton 2020 Ram 2500 Diesel will get the job done with the standard-output Cummins diesel. However, with the needed capability the Ram 2500 HD will also provide the broad range of customization options including the high comfort and modern tech features. The style of the model will vary depending on the version and the passenger car-like safety equipment will also be available. Ram reworked the 6.7-liter Cummins inline-6 diesel engine for the recent redesign and the engine comes in two states of tune. The engine has compact graphite-iron block combined with the cast-iron cylinder head and also new exhaust valves, springs and rocker arms. The stronger and lighter pistons come with low-friction rings and forged connecting rods. The engine uses also a new variable geometry turbocharger. Thanks to the improvements applied for the recent redesign, the Ram HD Diesel with the high-output Cummins engine can produce 400 horsepower and 1, 000 lb-ft of torque. This output comes in the combination with the heavy-duty Aisin six-speed automatic transmission but this engine versions in an option on the Ram 3500 HD. The 2020 Ram 2500 Diesel will have the standard-output 6.7L Cummins engine under the hood. This version is in the pair with the 68RFE six-speed automatic transmission. The power it provides is 370 hp at 2800 rpm and max torque of 850 lb-ft at 1700 rpm. The diesel-powered Ram 2500 will allow the towing limit of 19, 870 pounds while the Ram 3500 HD will tow up to 35, 100 pounds. The off-ready Power Wagon version won’t be available with the diesel engine as the things now stand. Ram used the light-duty model as the inspiration for the redesign and the models share a similar structural, visual and interior design. The available comfort and tech features are also similar. 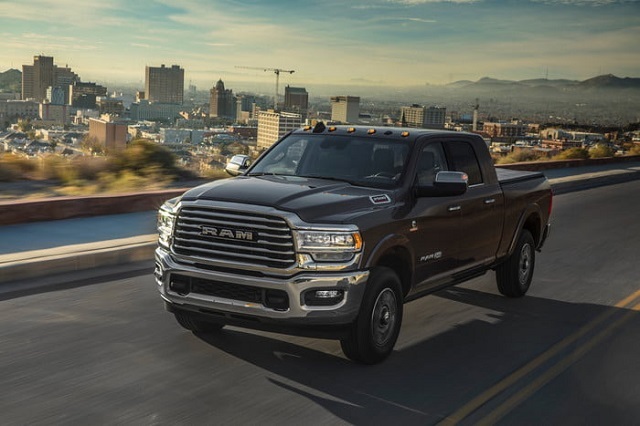 The 2020 Ram 2500 Diesel will sit on the upgraded chassis formed of the 98 percent high-strength steel with six cross members, hydroformed main and fully boxed rear rails. The chassis provides better structural performance and contribute to truck’s 143 pounds reduced weight. The styling of the model is also modernized for the recent redesign and truck gets unique cues depending on the trim. The cross-hair grille style is gone with the new generation introduction and different grille patterns will define the styling in almost every trim. The new headlights and sleeker body lines also contribute to the look of the model. The interior of the truck is the near replica of the light-duty Ram 1500 cabin and the model offers also a number of comfort and tech levels. The truck will vary the material quality and number of comfort features depending on the trim level but will provide full leather surfaces combined with the attractive trim accents. The heated and ventilated seats will also be available as well as the less costly and luxurious material options. The model will also offer different levels of tech equipment. The modern infotainment system will come with several display sizes including the 8.4-inch unit and the class largest 12.0-inch display. The safety aspect will also cover modern safety tech. The list will include automatic emergency braking, adaptive cruise control, active lane control, blind spot monitoring and parking sensors. The 2020 Ram 2500 Diesel will go on the market in 2020. The base version should start around $34, 000 but the diesel engine will draw a couple more thousands from the pocket.